Dylan Thomas in America—A Centennial Exhibition, which opened yesterday at the 92nd Street Y’s Weill Art Gallery, chronicles the poet’s experiences in the United States between his first visit in 1950 and his death in 1953. The 92Y’s Kaufman Concert Hall hosted the Welsh poet and author for his first American reading. The exhibition includes 19 facsimiles from the Ransom Center, including letters, postcards, photos, and manuscript pages. Images of a handwritten draft of Thomas’s Under Milk Wood, some correspondence, and Thomas’s “self-portrait” will be on view. Thomas is now considered one of the most important Welsh poets of the twentieth century, and it was during his American tour that he wrote his most well-known piece, Under Milk Wood. 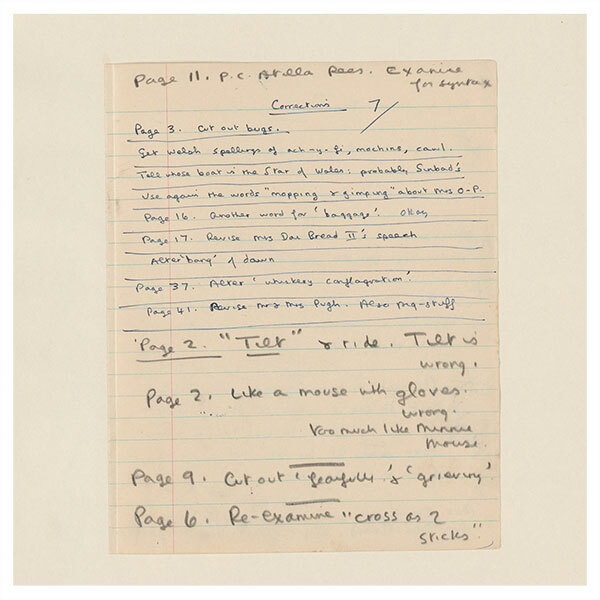 The Ransom Center’s Dylan Thomas collection consists of manuscripts, correspondence, notebooks, drawings, financial records, photographs, galley proofs, page proofs, and broadcast scripts. The Ransom Center also holds more than 280 photographs related to Thomas. Listen to a reading by actors, including Michael Sheen, of Thomas’s Under Milk Wood, from the opening night of the exhibition. 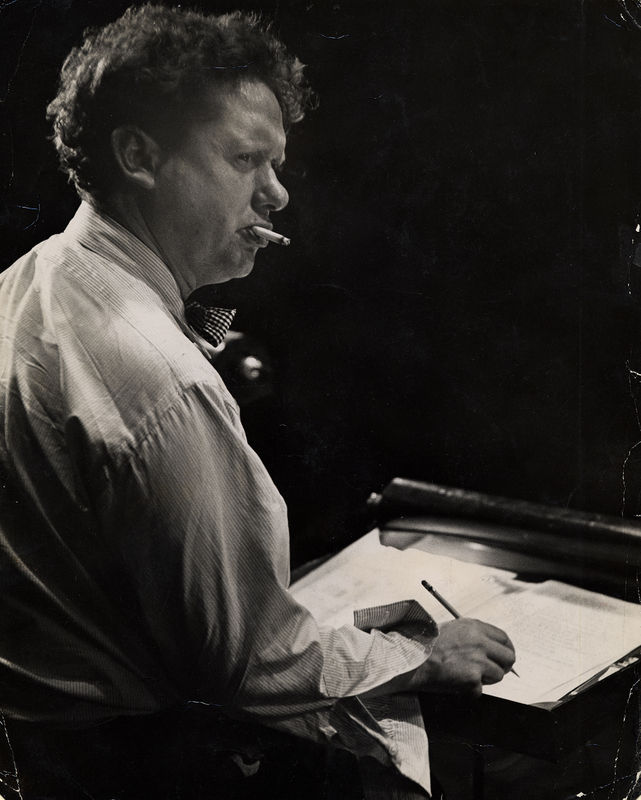 Image: Photo of Dylan Thomas by Rollie McKenna, ca. 1953.